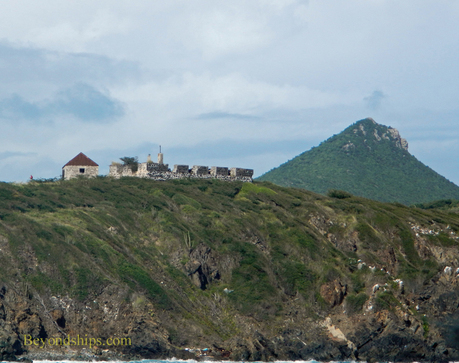 Above: The ruins of Fort Amsterdam looking the Great Bay near Philipsburg. Ownership of the fort passed between the Netherlands, France, and Great Britain 16 times between 1801 and 1848. 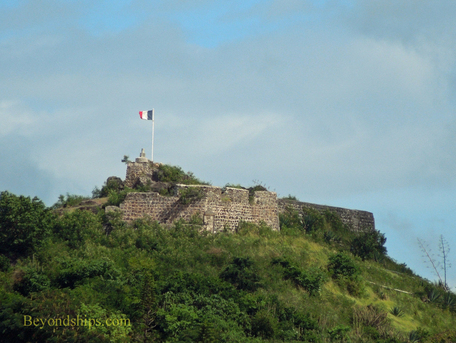 Below: Built to protect Marigot, Fort St. Louis is in better condition. One visitor who probably did not enjoy his stay in St. Maarten was Peter Stuyvesant. In 1644, he landed with some 800 Dutch soldiers seeking to recover the island from Spain. He lost his leg in the unsuccessful attempt. 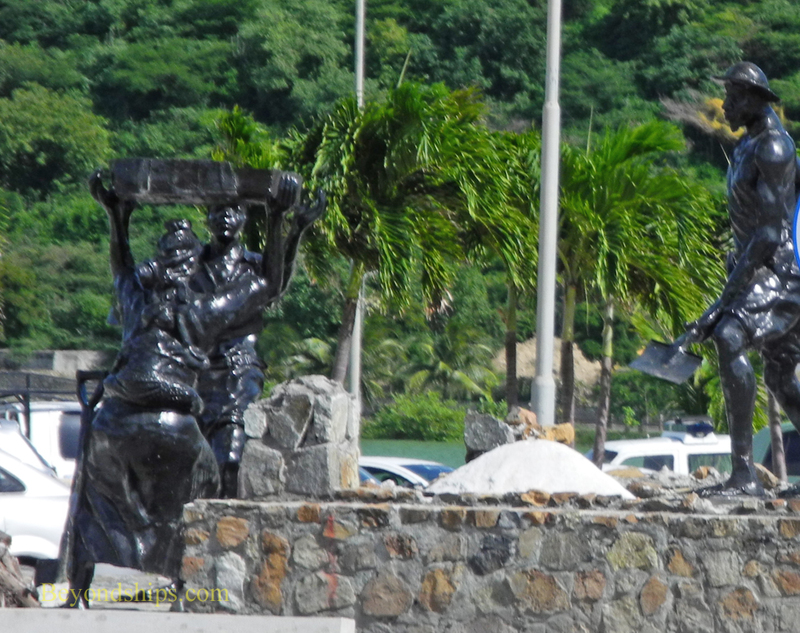 Below: A group of statues in Philipsburg honors the men and women who toiled in the island's salt industry. During his second expedition to the New World, Christopher Columbus sighted an island on November 11, 1493. Since it was the feast day of St. Martin of Tours saint's day, he decided to name the island after that saint. However, for unknown reasons, he decided not to go ashore thus making him one of the few people who have cruised the Caribbean and not stopped at St. Maarten. Columbus did claim the island on behalf of Spain. But, Spain took little interest in this new possession. Subsequent explorers informed the authorities in Madrid that the island was sparsely populated by Carib native Americans who had displaced the Arawaks who were the island's original inhabitants. There was no sign of gold or other precious metals. The island did have large salt basins. While this did not interest Spain, it became of considerable interest to the Dutch. Due to European wars during the 16th and 17th centuries, the Dutch no longer had access to their traditional source of salt, which they needed as a preservative for their herring industry. Therefore, in 1631, the Dutch established a settlement on St. Maarten. Spain was at war with The Netherlands at the time and accordingly evicted the Dutch from St, Maarten in 1633. The Dutch made several unsuccessful attempts to drive Spain from the island. But soon after the war between Spain and the Netherlands came to an end, the Spanish decided to abandon St. Maarten. Still interested in the island's salt, the Dutch returned. 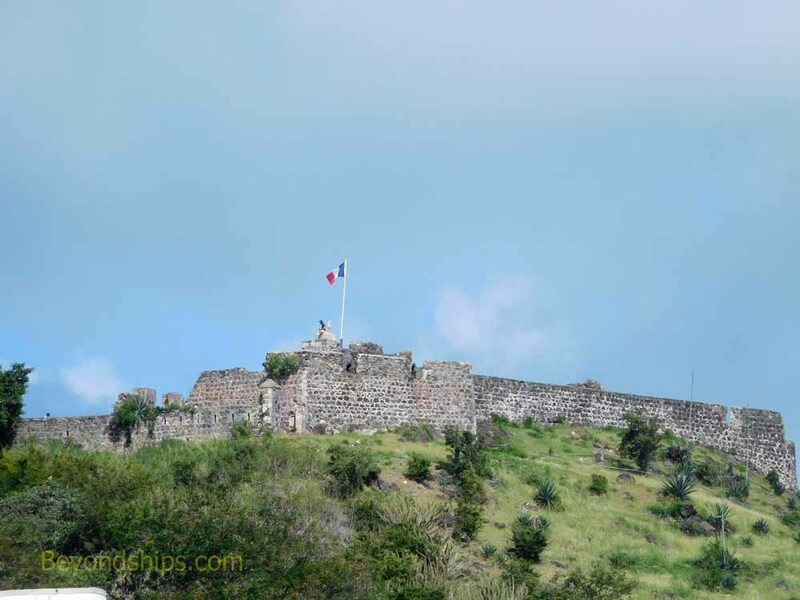 However, the French had also become interested in St. Maarten. For several years, the two countries fought over the island. But then in 1648, they agreed to share the island entering into the Treaty of Concordia. Although it is often said that the two countries have lived in harmony every since, there have been in fact numerous disputes and the border changed 16 times between 1648 and 1816. In addition to salt mining, the new owners became interested in growing crops such as tobacco, cotton and sugar. This led to extensive importation of slaves from Africa to work on the plantations. 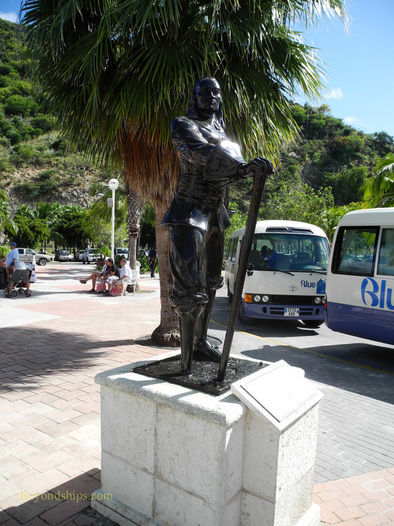 St. Maarten's economy came to depend on slave labor. After slavery was abolished on the French side in 1848 and on the Dutch side in 1863, the plantations and the economy went into a sharp decline. This continued until 1939, when the island was declared a free port. In the 1950s, the Dutch side decided that the best way to prosperity was to focus on tourism. The French side did not adopt this approach for another two decades. In 1954, St, Maarten and along with several other Dutch possessions in the Caribbean became part of the Kingdom of the Netherlands as the Netherlands Antilles. In 2000, however, the citizens of St. Maarten voted to become a self-governing country within the Kingdom of the Netherlands. The change in status became effective in October of 2010 with the dissolution of the Netherlands Antilles.